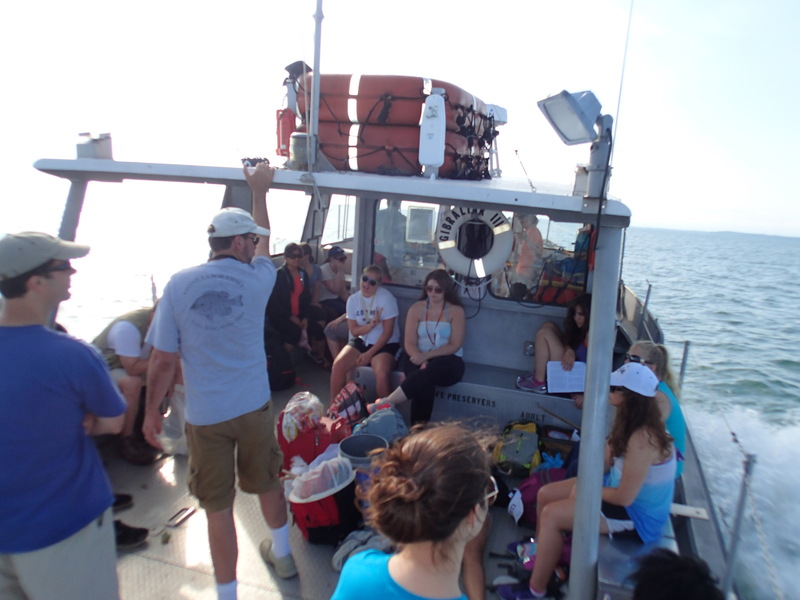 My summer TA assignment is with Field Zoology at Stone Lab, Ohio State’s island research station on Lake Erie. 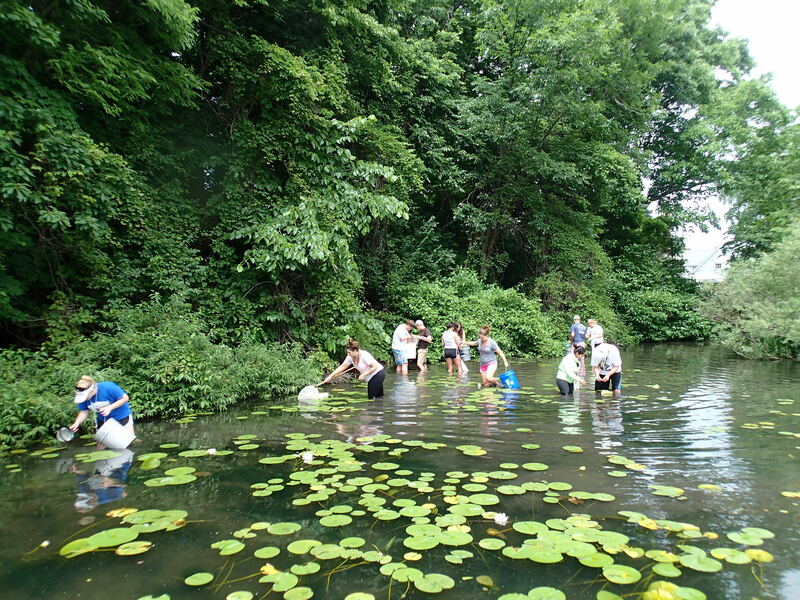 The course takes a hands-on approach to learning about the animal diversity on and around the Lake Erie Islands. In the first week, the class has visited South Bass Island, Kelleys Island, as well as the shores of Gibraltar Island to sample and study. I’ll share more about the class and our experiences in coming weeks, but I thought I’d share a few cool pictures and descriptions of some of the things we’ve seen. Freshwater Drum (also called Sheepshead, Aplodinotus grunniens) is a very common fish in Lake Erie, video here. In fact, they’re common in a lot of places, and their range covers most of the Midwest, north into Canada, and south to Central America. One of their closest relatives is the marine Red Drum (Redfish for Floridians, Sciaenops ocellatus). In contrast to their marine cousins, Freshwater Drum suffers from a bad reputation amongst anglers and are considered an unpopular fish to eat, although there is a movement to increase their popularity. If I get a chance to eat one up here I’ll report. You’re probably quite familiar with aquatic crayfish in lakes and streams, but a number of species are also terrestrial and live in burrows several feet deep when they’re not venturing out at night to find food. These species build chimneys out of their burrows, some of which we came across on Kelleys Island. 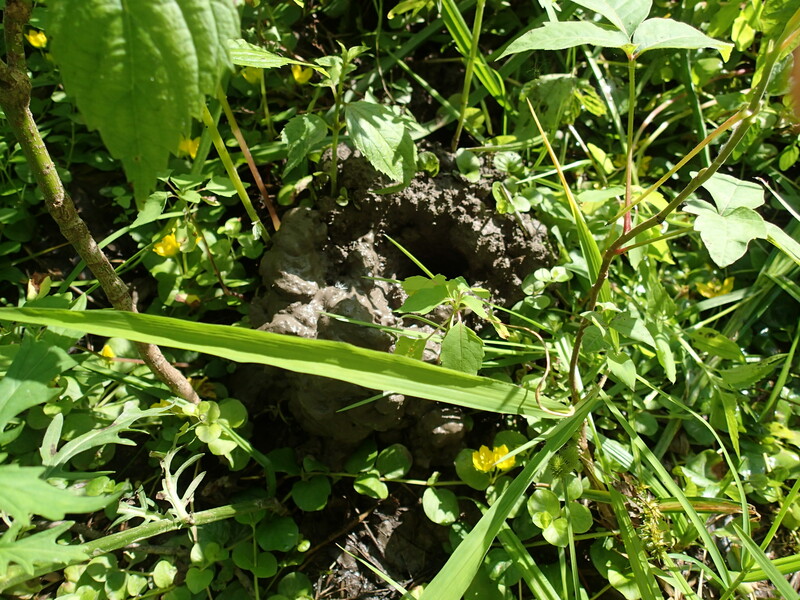 There is even a species of frog that will take over these burrows and live in them. Shockingly enough, that frog is known as the Crawfish Frog.